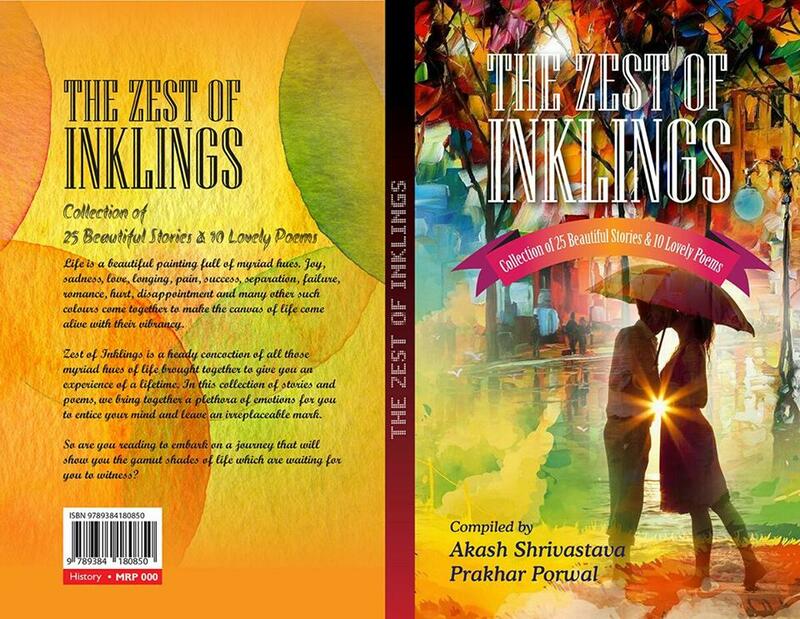 The Zest of Inlkings is a collection of twenty-five award winning short stories and ten lovely poems. Life is a beautiful painting full of myriad hues. Joy, sadness, love, longing, pain, success, separation, failure, romance, hurt, disappointment and many other such colors come together to make the canvas of life alive with their vibrancy. Zest of Inklings is a heady concoction of all those myriad hues of life brought together to give you an experience of a lifetime. In this collection of stories and poems, we bring together a plethora of emotions for you to entice your mind and leave a irreplaceable mark. So are you reading to embark on a journey that will show you the gamut shades of life which are waiting for you to witness? For the fourth time, my story in print! I am super excited! The Zest of Inklings, my fourth baby, is a story full of colors and close to my heart. Thank you so much Akash and Prakhar for the grand platform, Nehali for her constant encouragement, Namrata for editing the book, Moments Publication India for publishing the book and to all my friends for the encouragement! You can follow Zest of Inlkings on various social networks for the latest updates regarding the book. We thank our readers for their love and support.